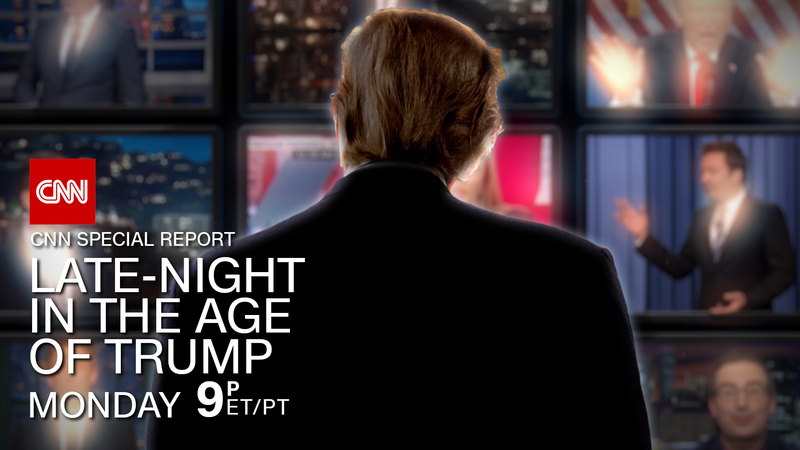 CNN’s latest special report, Late Night in the Age of Trump, airing Monday, November 20 at 9pm ET on CNN, examines how President Donald Trump single-handedly transformed late-night TV and comedy, along with the hosts of some of America’s most popular television shows. CNN senior media correspondent and host of “Reliable Sources,” Brian Stelter, sits down with some of comedy’s greatest voices to look at how the entire world of late night comedy has been reshaped by one person- an unprecedented change- much like this unprecedented Presidency. Stelter, along with other late night experts, explores both the hilarious and polarizing moments from the last year, and analyzes the impact President Trump has had on comedy, including the blurred lines between late-night and news. Tune in on Monday, November 20 at 9pm ET/PT for the one-hour special report where Stelter will examine this dynamic industry in the age of Trump. In addition to the TV airing, Late Night in the Age of Trump will also stream live for subscribers on Monday, November 20 via CNNgo (at CNN.com/go and via CNNgo apps for Apple TV, Roku, Amazon Fire, Samsung Smart TV and Android TV) and on the CNN mobile apps for iOS and Android. Late Night in the Age of Trump will also be available the day after the premiere on demand via cable/satellite systems, CNNgo platforms and CNN mobile apps.